An Elgin dad has died following a horrific crash involving a car and a van. Emergency services are in attendance at a road traffic crash on the A96 Inverness to Nairn road, at Dalcross near to Inverness Airport. A disused phone box next to one of the north-east’s busiest roads has become an unlikely venue for a tiny art exhibition. A digger has been rammed into the front of a Spar shop in Keith. The A96 Aberdeen to Inverurie road has been shut this afternoon after a car caught on fire. A man has died and three other men are being treated in hospital following a five-vehicle pile-up on a busy trunk route. 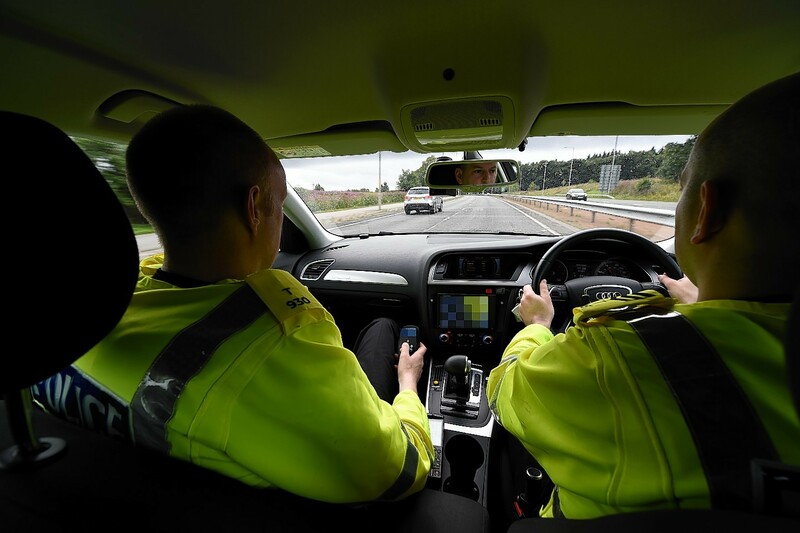 One person has been airlifted to hospital tonight following a horrific crash on the A96 Aberdeen to Inverness road, and police have warned that a stretch of the route will remain closed for "some time" while investigations take place. Police and paramedics have been called to a Moray road after a "serious" rush hour collision involving five vehicles.